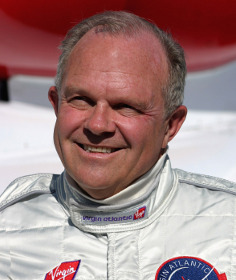 Thrill-seeking millionaire Steve Fossett made numerous flights in high-tech balloons, gliders and jets. He was last seen on 3 September 2007, taking off from an airstrip near Yerington, Nevada in an ordinary single-engine plane. Extensive searches yielded neither Fossett's plane nor his body, but at his wife's request he was declared legally dead by the Cook County Probate Court on 15 February 2008. Declared legally dead on 15 February 2008 by a Cook County court.